Abstract: I argue that our understanding and definition of ‘rubbish’ is far too limited. Analysis of two ceramic assemblages from sites in Medieval Southampton (UK) of different social status demonstrates that the way waste was treated and perceived is contextual. It is influenced by socio-economic factors and changed in response to developments in the social and economic landscape of the town. I propose that as waste, pottery occupies a transient position and an umbrella classification of ‘rubbish’ is too generalized. This paper explores how urban space is formed through processes of rubbish deposition. These processes also contribute to self definition. The implications of this perspective for urban archaeology are considered, from interpretive and chronological viewpoints. 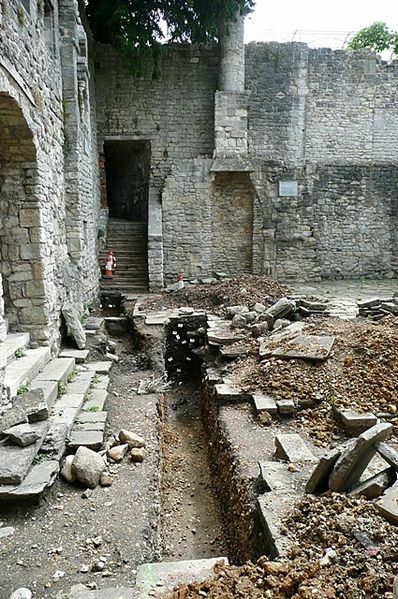 Introduction: Given that as archaeologists we deal with waste, little consideration has been given to the way rubbish was disposed of in Medieval towns. It is commonly assumed that most rubbish was deposited in pits, a theory which has recently been critiqued. Whilst historical sources have been used to give insights into other ways rubbish was treated and its impact on the urban landscape, we still understand little of how the deposition of domestic waste impacted upon household life and the development of the urban landscape. This is despite the fact that deposited rubbish is one of the principal sources used in archaeological interpretation. How was rubbish perceived or categorized? How did this relate to the emergence of categories of people? How did this lead to the definition of urban landscape?